the greatest events in your life. 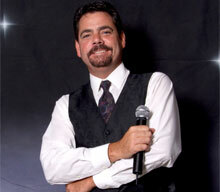 Each of the Celebration DJs is a true professional who cares deeply about each and every event. Your event is NOT just another night at work for them. They have the experience, energy, and personality to shape your evening into an experience your guests will remember forever. They have the right DJ for every event and budget. Ready to party? You have come to the right place! Whether it is a quaint family backyard gathering for 50 people, a company holiday party for 250, or a dream wedding for 500+, Celebration DJs will add energy, personality, and great music to take your party to the next level. Book a Celebration DJ and It's Party Time! You plan, you worry, and you spend for the perfect reception. Don't leave the entertainment to chance. For your dream reception you want an emcee, entertainer, coordinator and DJ all rolled into one. 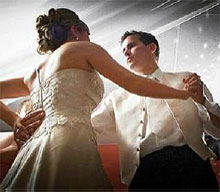 Each Celebration DJ is a wedding specialist so you have no stress and no worries on your important evening. Select your event date to instantly check availability and request a price quote. This information is provided to you at absolutely no obligation. Celebration DJs has been providing energetic entertainment to countless weddings, company events, and parties for over 22 years in the Southeast Michigan area. The owner of the company, Chris Donley, has built a solid reputation as a fun professional DJ and Master of Ceremony by using energy, personality, and great music to take your party to the next level and make it a true Celebration! Chris has hand picked several other top-notch entertainers and trained them personally before inviting them to join the Celebration DJs Group. Celebration DJs can offer the perfect DJ to fit your event and can tailor the music and level of interaction to fit your high expectations. Thank you for visiting the home of Celebration DJs, Southeast Michigan's premier event entertainment company. Celebration DJs would be honored to provide excellent entertainment for your important event but most weekend dates book up quickly. To inquire about your special date please use or Event Availability Checker. To email Celebration DJs, please use our Contact Form or call: (734)699-4487. The Celebration team looks forward to discussing your expectations and helping you find the perfect DJ for your event.